There are forms within my site that collect email addresses for the sole purpose of sharing my blog posts and other information that is valuable to my readers. 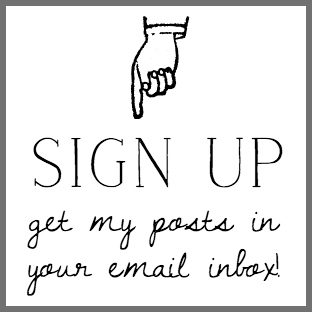 By entering your email address into one of these forms, you are giving your consent for me to send you email updates. You may manage your preferences or unsubscribe at any time via links at the bottom of my emails. Advertisements on this blog. The main ads you see here are Google Adsense ads. I occasionally also place ads from other sources as well. Either way, it’s very clear that they are ads. I post a lot of DIY tutorials and show products I recommend by linking to those items on affiliate sites. These links are a helpful way to show which products I am talking about so you know what to look for no matter where you shop. You can find home decor items that I have designed (art canvas, art prints, digital downloads, pillow covers, wall signs) in my Hymns and Verses shop on Etsy. I am a Mary and Martha consultant and do receive a small commission from any sales made through my Mary and Martha website. Mary and Martha products are shipped directly from Mary and Martha. *Now that I’ve listed my income streams, I want to add a disclosure to the disclosure. My main source of income is from the ads. You know…the annoying ones. The income from the other four things is minimal at best. In order for me to keep this blog going, I need to run the ads. I have not had a reader complain for a very long time, so I hope that means you are all OK with them. They are a fact of my life and allow me to do what I do. Thank you so much for your understanding and support. The privacy of visitors to hymnsandverses.com is important to me. At hymnsandverses.com, I recognize that the privacy of your personal information is important. I do not sell data. I do not share data unless compelled by law. I never sell your personal information to third parties. As with most other websites, I collect and use the data contained in log files. The information in the log files include your IP (internet protocol) address, your ISP (internet service provider), the browser you used to visit my site (such as Google Chrome, Internet Explorer or Firefox), the time you visited my site and which pages you visited throughout my site. I do not accept GUEST POSTS or PAID LINKS. COPYRIGHT © 2018 · ON SUTTON PLACE & ANN DRAKE · DO NOT REPURPOSE, REPOST, MAKE SELLABLE ITEMS OR REDISTRIBUTE WITHOUT WRITTEN PERMISSION. ALL RIGHTS RESERVED. 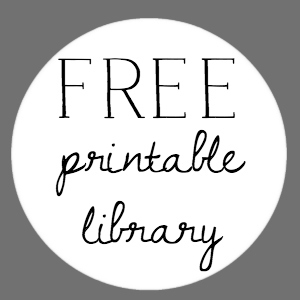 Please do not use my printables for anything that is sold or alter them in any way. Please do not post one (or more) of my printables on your site without my permission. If you would like to feature one of my images, please ask first. This includes, but is not limited to, other blogs, round-up sites and magazine publication sites. I can be reached at hymnsandverses@gmail.com. Use of written content is strictly prohibited. This blog is a personal blog written and edited by Doreen Cagno (me.) Unless otherwise stated, all photos are taken by me. 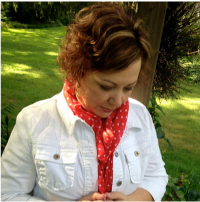 For questions about this blog, please contact Doreen Cagno at hymnsandverses@gmail.com. Any tutorials published on this blog are always tested in my own home, by me. What I write about and share is the whole truth, usually with photos included. I AM NOT RESPONSIBLE if you attempt one of my projects and it doesn’t turn out like you expected. This includes recipes. I present my methods to the best of my ability. If you don’t agree with my method(s) please don’t attempt the project. I share what works for me. It may not necessarily work for you. While every effort has been made to ensure the accuracy of the information displayed on this website, Hymns and Verses/Doreen Cagno makes no guarantee as to the procedures & information contained here. The publisher will not be liable for direct, indirect, incidental or consequential damages in connection with or arising from the use of the information displayed on this website. Hymns and Verses is not intended to substitute for the advice of a professional. Through the use of this website, you are hereby accepting the terms and conditions stipulated within the aforementioned Disclosure Statement and Privacy & Cookie Policie. If you are not in agreement with these terms and conditions, then you should refrain from further use of this site. In addition, your continued use of this website following the posting of any updates or changes to my terms and conditions shall mean that you are in agreement and acceptance of such changes. If you have any questions or concerns regarding the Disclosure Statement related to my website, please feel free to contact me at the following email address.